“We only ever danced at weddings …” That’s a line from a poem I wrote nearly 25 years ago about my father. I was a 33-year-old creative writing student at Oberlin College then, still working through the 20-year-old grief of losing my father soon after I turned 13. 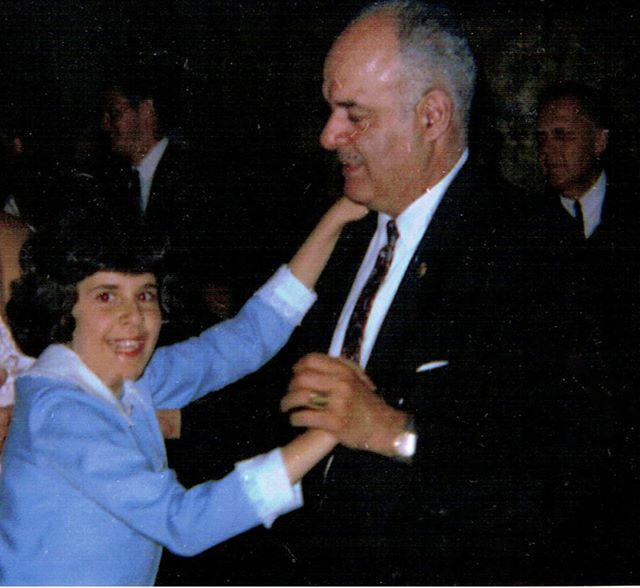 In the 1960s, my father and I had several opportunities to dance together—three of my cousins were married in elaborate celebrations of love, with opulent receptions in Cleveland hotel ballrooms. The remnants of these memories reveal snapshot scenes: a fountain flowing with champagne, my glamorous cousins in gowns, relatives and strangers linked in the dabke, a traditional Lebanese folk dance accompanied by drums. But like so much of what passed for happiness in the 1960s, these moments were evanescent. Even the hotels are gone. That’s why I’m so grateful to have this picture of my dad. There aren’t many of them; he was always the one taking the pictures. One of my cousins found an undeveloped roll of film in her late mother’s apartment, took it to a photography store in Cleveland, and surprised me with this print. As Father’s Day approaches, my dad feels closer to me than ever. I’m sorting through old photos of him (courtesy of my cousin), reading his war letters home, and working on a memoir in which he has the starring role. I’m also sorting through some of my old photo albums, and came across this picture, which symbolizes so much for me. 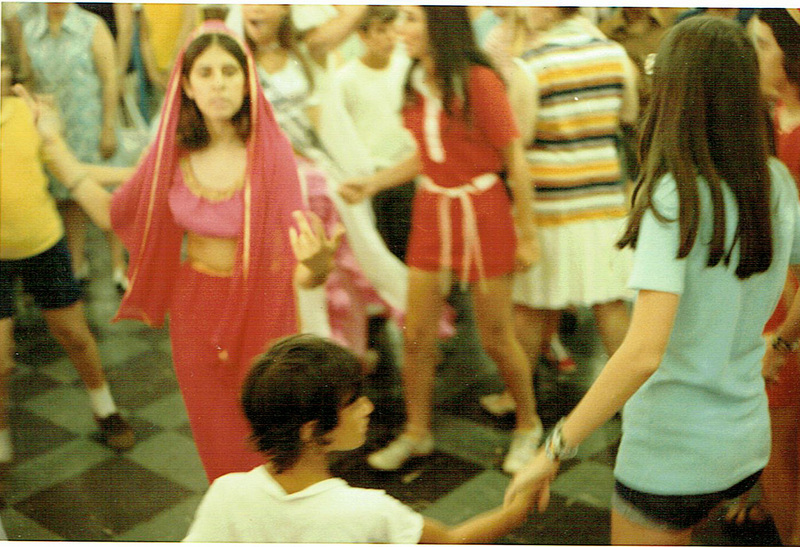 The author performing the dabke at an international festival. After my father died, my Sicilian-American mother wanted to keep his heritage alive for me. She joined the local Lebanese social club, and I was enlisted to dance with other young people at the Lorain International Festival. This would have been around 1972. In this photo, I’m performing the dabke, the dance I learned as a child, watching my relatives at those glamorous weddings. Two years later, I would represent my culture as the Lebanese-Syrian Princess at this same festival. But that’s another story. All my life, I thought I was participating in these activities to please my mother and honor my father’s memory. It’s only now that I realize the dancing was as much for me as it was for him, keeping the rhythm of love and family alive in my heart. From THE SILVER GRILLE: MEMORIES AND RECIPES, Copyright © 2000. Images used with permission. My morning’s ritualistic reading of the New York Times unexpectedly transported me to my childhood, thanks to “A Lunch that Tastes Like Nostalgia,” Alex Witchel’s lively account of a midday repast at Bergdorf Goodman’s. Her article pays homage to a fading rite—the department store lunch—and shuttled me back to the 1960s, when my Aunt Helen would occasionally take me with her on the bus to downtown Cleveland, where she had standing Saturday appointments at Higbee‘s hair salon with Miss Rose. Higbee’s was one of the late, great urban department stores, where you could get your nails done, buy furniture, browse through books and greeting cards, try on dresses, and—oh yes—have lunch. Back in the day Cleveland boasted four such retail havens: Besides Higbee’s there was Halle’s, the May Company, and Sterling Lindner-Davis. At the Higbee salon I idled away the time looking at fashion and movie magazines, with the promise of lunch afterwards at the terribly sophisticated Silver Grille, followed by a visit to the girls’ clothing department, where Aunt Helen always bought me a dress. 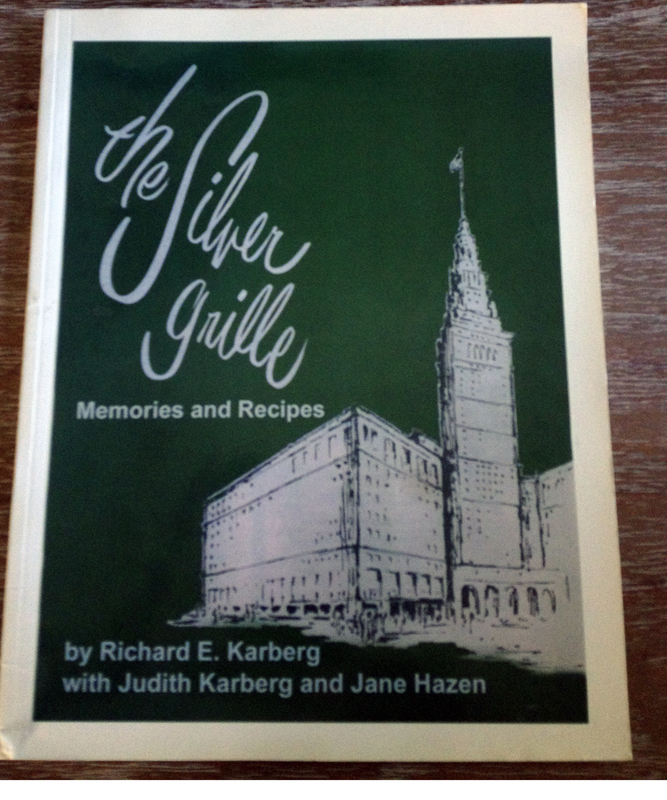 So comforting were my memories of lunch with Aunt Helen at the Silver Grille that when Cleveland Landmarks Press published The Silver Grille: Memories and Recipes a number of years ago, I snapped up a copy at Walden Books. Higbee‘s and the other stores are gone, now. (So, for that matter, is Walden’s.) The sturdy but elegant Higbee building still stands kitty-corner to the landmark Terminal Tower on Public Square (flanked, on the tower’s other side, by the Ritz-Carlton Hotel). The grand old store is now home to the Horseshoe Casino, and has been for exactly one year to the day that I’m posting this. Fans of A Christmas Story, filmed primarily in Cleveland, will remember Higbee’s; its iconic display windows feature prominently in the film and contained Ralphie’s holy grail—the Red Ryder BB gun. But I digress. Nostalgia will do that to you. Witchel’s article inspired more than this reverie: It compelled me to pull out my copy of the Silver Grille cookbook. 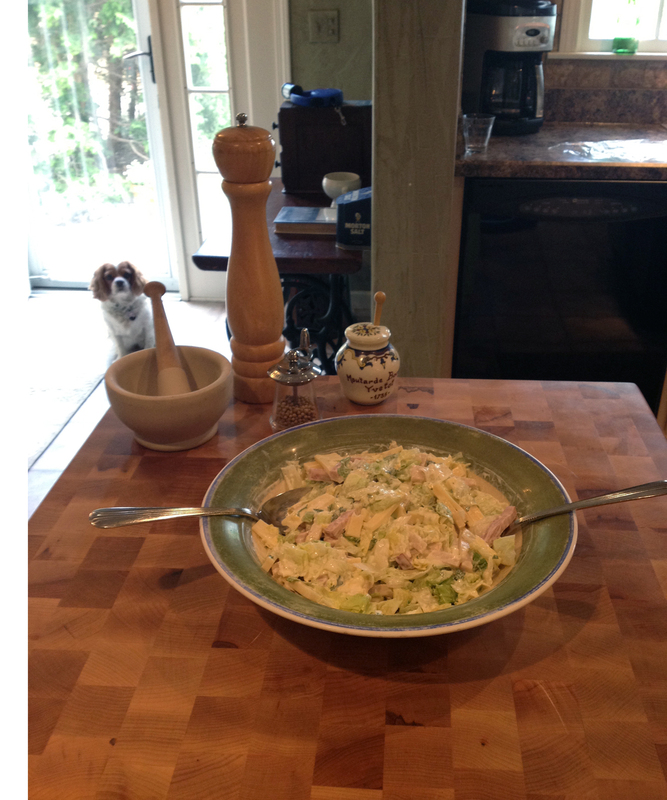 The first recipe I turned to, for Maurice Salad, had become a longstanding favorite of mine long after I outgrew the creamed chicken, which arrived in its own cardboard oven. 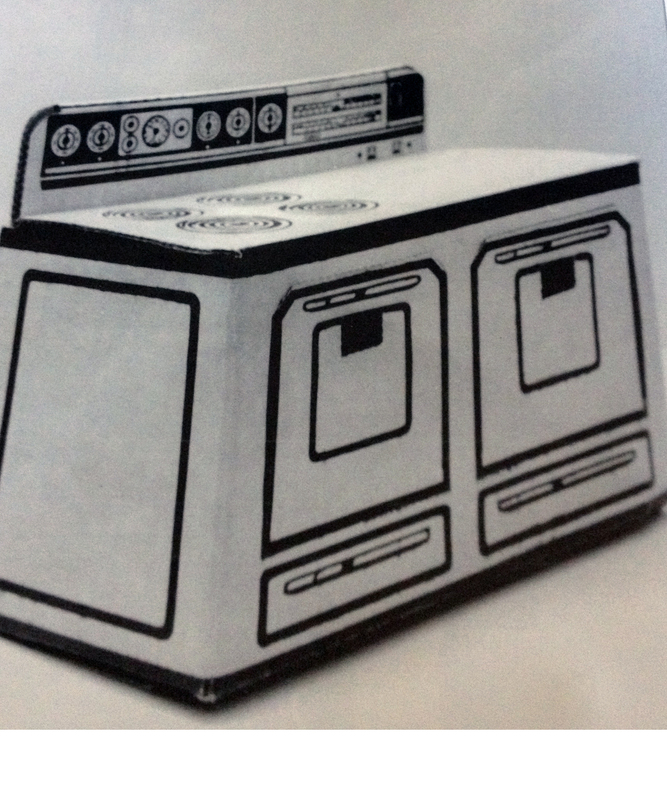 The book notes that Higbee’s Silver Grille began serving meals to little tykes in this cardboard oven in 1974, but my memory (which could be faulty) suggests that I opened the oven doors to retrieve my creamed chicken and whipped potatoes in the 1960s. Large cities with renowned department stores invariably opened satellites in suburban shopping malls, and Higbee’s was no exception. I often ordered this salad when my mother and I ate at the “Attic” in the Elyria Higbee’s. It was a charming place, but it was no Silver Grille. There could only be one. Happily, the food—if not the name—was the same. Adapted from The Silver Grille: Memories and Recipes. Used with permission. Combine all ingredients. Mix with one cup of classic Maurice dressing and place in a bowl lined with lettuce leaves. Combine salad ingredients with the dressing and mix. Note: The Silver Grill made the original Maurice Dressing with a commercial base not currently available, according to the cookbook. A recipe former Silver Grill employee devised this recipe. 1. James A. Toman, publisher of Cleveland Landmarks Press, tells me that they are reissuing all of the previously published Silver Grille recipes in a new volume, Recipes from the Silver Grille. The book is forthcoming sometime in late summer; be sure to check out the publisher’s website for details. 2. 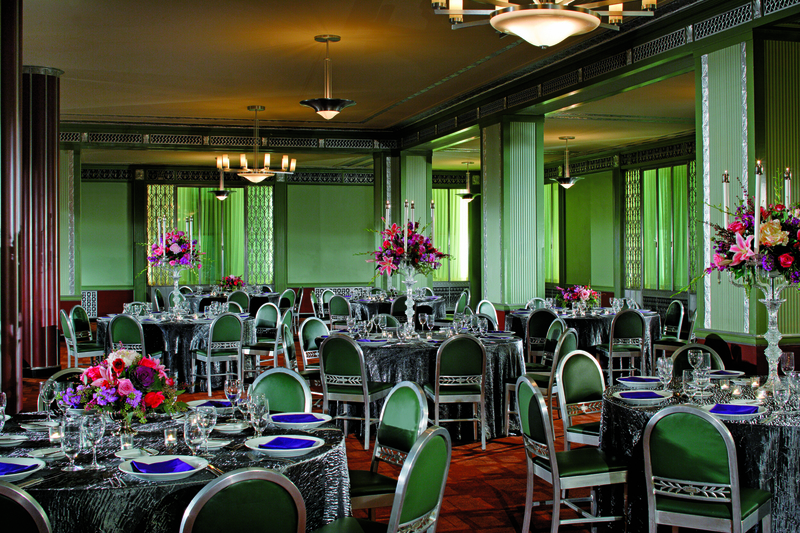 The Silver Grille underwent an award-winning restoration in 2002 by the Ritz-Carlton Cleveland. Although no longer a restaurant, the hotel uses the spacious tenth-floor room as a “function space,” according to Kelsey Williams, senior marketing and PR coördinator of the Ritz-Carlton, which is the venue’s exclusive caterer. 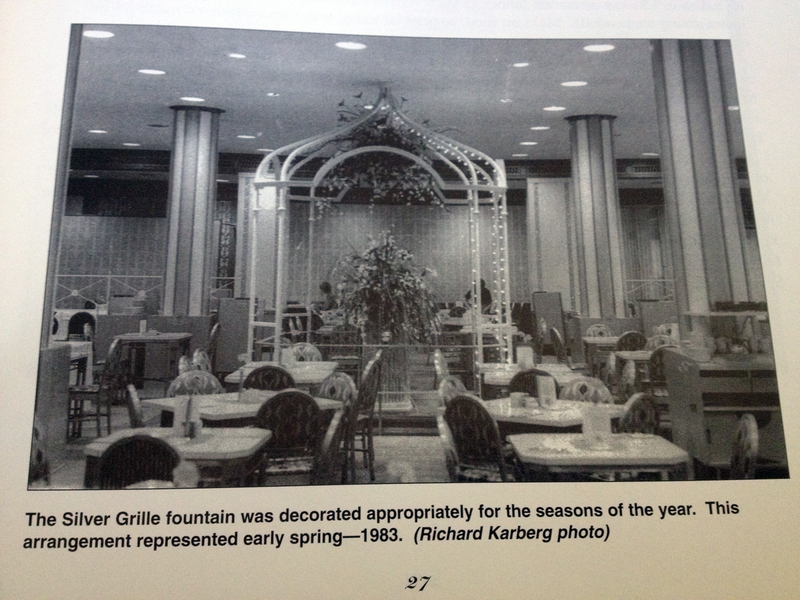 The Silver Grille today, in its current incarnation as an event venue of the Ritz-Carlton Hotel. Photo courtesy of the Ritz-Carlton. Do you have department store lunch memories of your own? Share them in the comments section below!